Since the start of the war the Turkish authorities have been doing their best to exterminate the Ottoman Empire’s Armenian population. Many of the Armenians have been shot but more have been killed by deliberate starvation as the Turks deport them from their homes in Anatolia and send them on death marches without adequate provisions to inhospitable desert regions, where they are left to die. Turkey’s allies have been doing a lot of hand-wringing about the Armenian genocide but are unwilling or unable to put a stop to it. German and Austro-Hungarian diplomats have made greater efforts to protect Armenians that have converted to Catholicism or Protestantism, but even here their efforts are rather ineffectual. Today the German embassy reports that less than a quarter of Anatolia’s pre-war Catholic Armenian population remains alive. Armin T. Wegner had been serving as a medical officer with the German army in the Turkish Empire. He noticed the extermination of the Armenians taking place around him: the massacres, the deportations, the death marches, the killings by starvation and so on. Horrified by what he saw, he did what he could to stop the slaughter or, failing that, to document it so that it could not be denied in future. 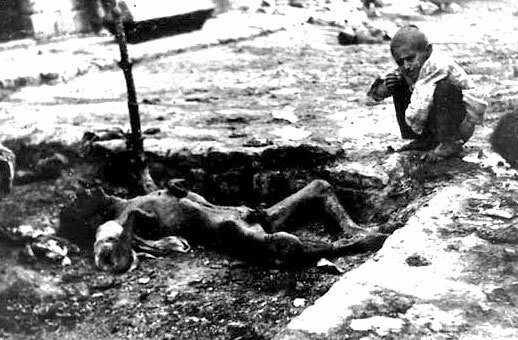 A keen photographer, he captured many disturbing images of the Armenians’ suffering across Syria and Mesopotamia. Against military orders he had these smuggled these and notes describing the mass killings smuggled back to Germany and to diplomats from neutral countries. Now Wegner is back in Germany, apparently recalled because the German authorities were concerned at the potential embarrassment his efforts cause to relations with their Turkish allies. Today he writes to Marga von Bonin, a German nurse he had befriended in Constantinople. He tells her that he has written a book about the Turks’ extermination of the Armenians, but the censors’ have blocked its publication. He describes again the horrors that he has seen and then adds “It was more of a chance and a miracle, that I was able to get out alive once more from the hell of those horrifying ghosts”. Wegner has brought more photographs back with him to Germany. He continues his efforts to spread the word of what his country’s ally is doing to the Armenians. The Turkish authorities are continuing their elimination of their Armenian minority. Some of the Armenians (particularly young adult men) are being shot or killed by other kinds of direct violence. For most though the killing is by more drawn-out and indirect methods. Armenians are being sent off to inhospitable death camps in the Syrian desert and left to die of hunger, thirst and exposure. The extermination is not happening in secret. Newspapers in the neutral United States have carried shocking reports of Armenian suffering, with a recent article in the New York Times quoting a Presbyterian missionary saying that starving Armenians have tried to feed themselves on locusts or wild dogs, while others have resorted to cannibalism. The missionary also reports that other Armenians have given up hope, killing themselves or begging for execution by their tormentors. The Armenians’ extermination is causing disquiet on the part of Turkey’s allies but they are unable or unwilling to stop the slaughter. Paul Wolff Metternich, Germany’s ambassador to Turkey, reports back to Berlin that the Turkish authorities are intent on the complete elimination of the Armenian population and that his protests and those of American diplomats have done nothing to ease their suffering. Turkey’s leaders are determined to exterminate the Armenians and will not be swayed from this course of action. The Turkish authorities continue their extermination of the Armenians. While many Armenians have been shot or otherwise executed, most are suffering a slow death from starvation, dehydration, sickness or exposure. 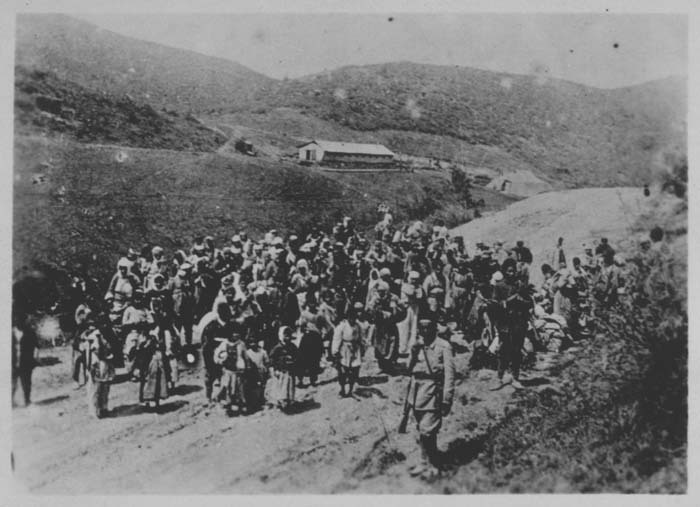 The Turks have sent the Armenians on death marches from their homes in Anatolia to camps in the Syrian desert. Little or no food or shelter is provided to the Armenians while they are on the move. Once in the desert they find themselves left to die. The extermination is not happening in secret. While the Turkish authorities are keen to deny that anything untoward is taking place, their abuse of the Armenians is being extensively reported. In neutral America the press carries frequent reports of the Armenians’ sufferings, relying on information gleaned from US diplomats in the Ottoman Empire or from journalists operating there. Today the New York Times carries another report on the Armenian calvary based on a diplomatic source in the Turkish Empire. The paper notes that the source is not an American one, which may mean that the account derives ultimately from a German or Austro-Hungarian diplomat; many of Turkey’s allies have been shocked by what is happening. The report paints a disturbing picture. “The witnesses have seen thousands of deported Armenians under tents in the open, in caravans on the march, descending the river in boats and in all phases of their miserable life. Only in a few places does the Government issue any rations, and those are quite insufficient. The people, therefore, themselves are forced to satisfy their hunger with food begged in that scanty land or found in the parched fields. In Anatolia the Turkish authorities’ extermination of the Armenians continues. By now so many of the Armenians have been sent off to die in the Syrian desert that the Turks are struggling to find more Armenians to get rid of. They turn their attentions increasingly to those Armenians working on the construction of the railway line from Constantinople to Baghdad. The strategic importance of the railroad had given a certain protection to the men building it. Now, though, the Turks order the deportation of the Armenian railway workers. The German and Austro-Hungarian engineers directing the railway’s construction are aghast. Without the Armenian workers, progress on the railway will slow to a crawl. But the Turks are adamant. Out of perhaps as many as 10,000 Armenian railway workers, only around a hundred specialists are not sent away on death marches. Even these survivors are put under increasing pressure to convert to Islam.